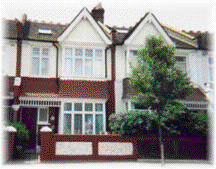 Bed and Breakfasts near Turnham Green for 1 night from Fri Apr 19, 2019 to Sat Apr 20, 2019 within 25 miles, in an Average Nightly price range of £1 to £200. Kew Gardens Hotel is only 150 metres from Kew Gardens and 2 minutes' walk from the nearest Tube Station. It features boutique-style rooms, a gastro-pub and restaurant. All rooms have stylish decor, en suite bathrooms, a Nespresso coffee maker, iPod docking station and flat-screen TVs. Free Wi-Fi is available throughout the hotel. The restaurant serves modern, international cuisine and the menu is constantly being reviewed and updated to accommodate seasonal ingredients. The bar serves a wide range of wines, beers and spirits and regularly offers entertainment, including live music and hog roasts. In the Kew area of south-west London, The Kew Gardens Hotel is a 25-minute walk from Richmond-upon-Thames. Wimbledon, which has 4 golf courses as well as its famous tennis championship, is 4 miles away and the centre of London is a short Tube ride away. The Historic Royal Botanic Gardens and the National Archives are 10 minutes' walk from the hotel.